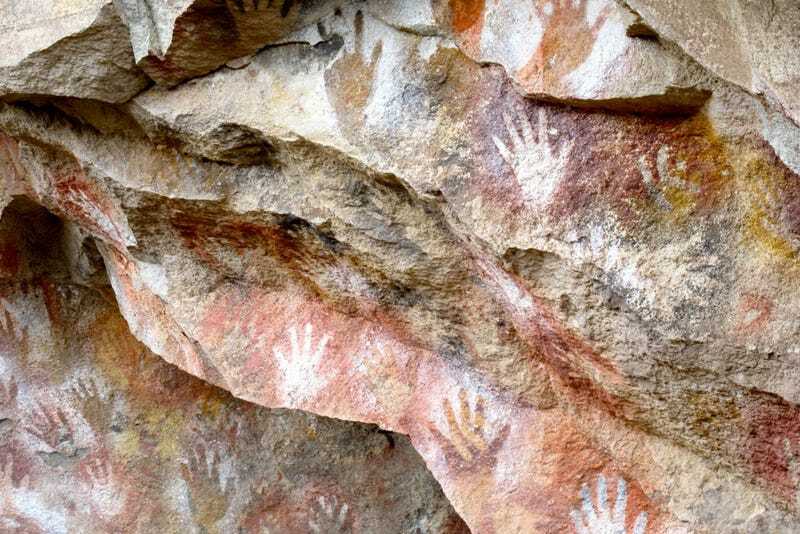 There's something undeniably surreal about early cave paintings, something otherworldly or even psychedelic. And according to a team of international scientists, that's because the cave painters were doing mind-bending drugs while painting them. This isn't the first time we've heard that hallucinogenic drugs may have played a role in early cave paintings—though it's the most scientifically rigorous evidence yet. A couple of years ago, a 6,000-year-old cave painting in Spain ignited a small buzz after scientist identified what appeared to be images of psychedelic mushrooms in one of the murals. This finding was consistent with earlier hypotheses drawn from similar paintings that suggested cavemen knew about the special powers some plants possessed and possibly used those plants to inspire some of the earliest works of art known to man.